Cherie Blair’s half-sister, 49, who converted to Islam in 2010, pointed out that a number of terrorists behind recent attacks took drugs and the government should be doing more to tackle the issue. 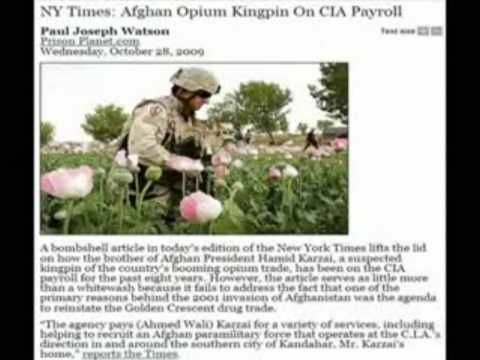 Infowars video that shows some anomalies in the video and the offical story (Alex Jones not banned anymore?!?). Last edited by Firestarter; 03-29-2019 at 09:33 AM. I never hosted the document on my server, but I don’t know if I can be arrested for simply linking to it, so I’ve removed the link. Obviously, the New Zealand government doesn’t seem to understand how the Internet works. Censoring me will only bring more attention to the document and cause more people to read it, download it, share it, mirror it, etc. I refuse to remove the quotes from the manifesto that I used in my previous analysis of the event. I suppose we’ll find out if people can be arrested for political analysis in New Zealand. And we've come a long way from following freedom policy to 'opiod crisis emergency' at home. Another thing that struck me as odd is that not a single bird can be seen (or heard) throughout the video. The disappearing shells between 09:00 and 09:10 are convincing me. The following video shows most of the shooting video, with some inserted clips of a computer game to argue that it’s computer animated. The following short clip shows the in my opinion most interesting part of the computer animated video. Note that with the exception of the bearded fellow, which wasn’t succesfully animated, no face can be seen at all in the roughly 20 bodies. 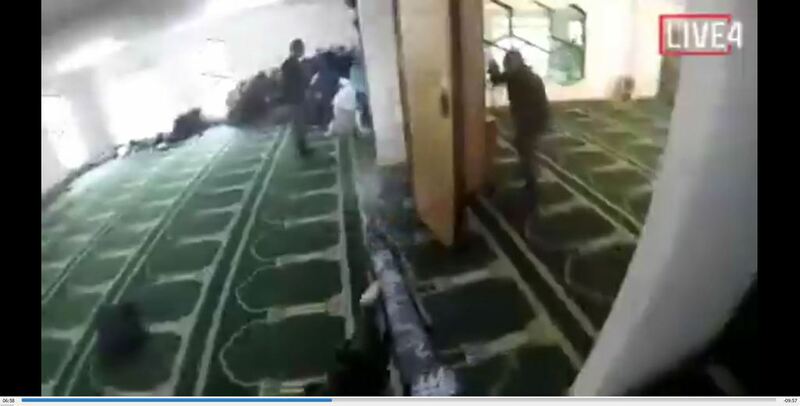 Somebody has distributed copies of the New Zealand shooter’s manifesto online that has malware embeded which will wipe your master boot record and prevent your system from booting up. Cut and paste into word. I have a "clean" copy. I have always found that part of the video rather questionable why is there no blood anywhere near the victims? i find it rather amusing how they are trying to censor the video. Maybe the reason they are trying to censor the video is not because of the victims but maybe because they want conspiracy theorists to question their official narrative. Last edited by AngryCanadian; 03-30-2019 at 05:33 PM. The Guardian reports: A reference to “almighty god” remains, but it is not a specific reference to a Christian god. There is blood near the victims, you can see a large pool of blood at 10:32. Truthfully, anyone who thinks this event was fake is a complete retard. Last edited by Firestarter; 04-01-2019 at 08:49 AM. 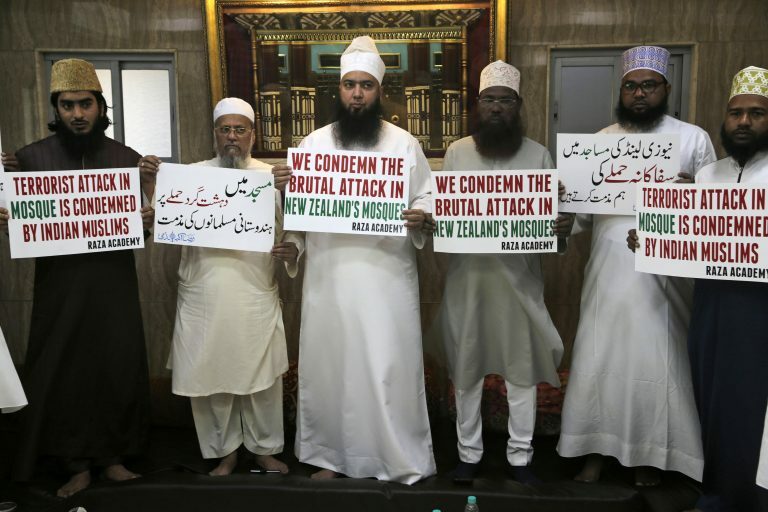 That somebody shot and killed a bunch of Muslims at a Mosque in New Zealand, but didn't make a video of it, while, on the same day, someone else made a fake video purportedly of themselves murdering a bunch of Muslims at a Mosque in New Zealand, wherein the fake victims look like the same people as the real victims of the real shooting who are actual dead people? I conclude that the video looks and IS computer animated. You can make a video with a cheap mobile phone that doesn't have all of these glitches and (many, many) sections that look like trash. My "hypothesis" is that as it doesn't make sense that they used CGI to make a video of a "real" mass shooting, the whole story is a false flag hoax, nobody got killed, for politicial reasons (including gun control). This means that the "dead victims" were either: 1) created in computer databases with fake photos or 2) gotten new identities. Since there are funerals for the victims with their survivors there mourning their loss, it stands to reason that these are real people who really died. Or are the funerals all fake too? Can you imagine if you were a parent and these nutjobs started harassing you, telling you that your kid never died, that it was all fake? Its no wonder A. Jones is getting sued for encouraging them with Sandy Hook. Could be either/or, could be both. Could be a real funeral for a person who died, maybe only 5 people died, just so they could have "real" funerals for the media. Maybe it is real funerals for people who didn't die and the attendees think they died. Maybe some are fake funerals with actors. Ok, how do you explain the $#@!ed up video that is obviously isn't real? Your argument is that they are showing funerals on tv, so the video has to be real, even if every indication from looking at the video is that it is not? That is the most retarded $#@! on the forum right now. Funerals on tv doesn't make an obviously fake video real. Let's assume the video is completely fake, as it appears to be, what is your explanation? What do YOU think they are doing at the funerals? I haven't seen the video. But the sources of the claim that it's fake are not ones that engender enough confidence to bother wasting my time watching it. Seeing people getting killed isn't my thing. The way you posted that photoshopped picture of Biden in the other thread doesn't make me think you know fake when you see it. It's not just funerals being shown on TV. This is a real mosque in a real community, full of real people, including coworkers, neighbors, and others who know people who attend that mosque. What do you think, that all the conversations there about what happened that everyone is having with those people involved them all saying, "Yeah, well, fortunately I wasn't there when it happened, and I don't know any of the victims, and none of the people I know from the mosque know any of them either"? Their newspaper is full of obituaries for people that never existed and nobody there actually knew? What do you think, that all the conversations there about what happened that everyone is having with those people involved them all saying, "Yeah, well, fortunately I wasn't there when it happened, and I don't know any of the victims, and none of the people I know from the mosque know any of them either"? Their newspaper is full of obituaries for people that never existed and nobody there actually knew? Read each of my options and see if they all fit into that category. Hint: they do not. Also there has been plenty of screenshots and animated gifs posted that call into question the authenticity of the video. But my point is, when somebody says the video is fake, saying, "but I saw funerals on TV" is a retarded argument. Can you at least admit that? Maybe the video was fake, but all the people actually died. Thus the funerals are real, it's just the video that is fake. Maybe it was less people than what they said who died, but enough to put funerals on tv. Or maybe nobody died. Who knows? I'm not saying I know what happened you are the one saying you know precisely what happened. The dumbest thing in the world to think is to say that you know precisely what happened on an island on the other side of the planet. But when what they claimed happened is easily called into question, and they are trying to use what happened to take our rights, it is important to point out the problematic aspects of their claims. You are abdicating your role in protecting liberty. Last edited by dannno; 04-01-2019 at 02:46 PM. But my point is, when somebody says the video is fake, saying, "but I saw funerals on TV" is a retarded argument. Can you at least admit that? Maybe the video was fake, but all the people actually died. Thus the funerals are real, it's just the video that is fake. Maybe it was less people than what they said who died, but enough to put funerals on tv. Or maybe nobody died. Who knows? I'm not saying I know what happened you are the one saying you know precisely what happened. The dumbest thing in the world to think is to say that you know precisely what happened on an island on the other side of the planet. But when what they claimed happened is easily called into question, and they are trying to use what happened to take our rights, it is important to point that out. You are abdicating your role in protecting liberty. Hmmm.... Let's check.. It says here .... Ideological subversion ..... Does anybody know what it means? And the shooter never missed? No bullet holes in the wall anywhere? New Zealand gangs say they will not give up their guns. Last edited by Swordsmyth; 04-01-2019 at 03:06 PM.